- Somaliland announced secession from Somalia in 1991. The Somali National Movement (SNM) – an armed insurgency group which had helped to overthrow the Siyad Barre regime and assumed leadership of the country – promised that power would be transferred to a civilian government within two years. 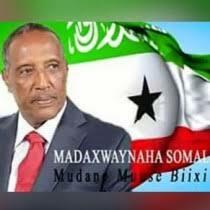 The SNM fulfilled its promise and at the 1993 Borama Conference of Elders, Mohamed Egal was chosen as the country’s first president. Also at Borama, it was decided that the parliament in Somaliland would be made up of two chambers: the House of Elders and the House of Representatives. The House of Elders – or Guurti – is an institutionalised version of a traditional council. In recognition of the central role played by clan leaders in the demobilisation and disarmament process, the Guurti became part of the country’s formal political system. The problem comes now, twenty years later, as Somaliland is striving to enhance its multi-party democratic system and seeks international recognition. Many of the original members have died since it was first established. The Guurti has essentially become hereditary. Most have no formal education. What shape should this reform take? Part of this ongoing debate relates to the issue of selection. If the members of the upper house were elected, there would be two elected chambers. Once again, only those who wield sufficient political clout – and with the means of financing a political campaign – would be able to secure a voice in the formal political system, rendering an upper house redundant. An alternative is for the nomination of individuals to an upper house containing representatives from minority communities, civil society and experts in appropriate fields. As was envisaged – albeit briefly – in Malawi in 1994. Perhaps the biggest opposition to reform comes from the current members of the Guurti. Changing the composition of the upper house will not prove popular with the incumbents. A position in traditional leadership structures has become an important way to gain influence – and, for some, to do business – in Somaliland. Even those who were not part of the original peace-making process of the early 1990s are likely to be reluctant to relinquish their positions without adequate incentives. The answer to this conundrum is not immediately clear. Replicating systems developed over centuries in other parts of the world is of limited value. Institutional solutions to political problems need not be permanent. But they do need to remain relevant and appropriate. The Guurti has not adapted well to the challenges of the legislative task of an upper house. Making decisions on intellectual property law, or assessing the terms of investment agreements on oil and gas, require different knowledge from that employed in the resolution of conflict. If an institution is required to perform both functions, its members must have appropriate skills for both tasks. One option would be for the Guurti to relinquish its parliamentary role. Instead, a new institution – possibly even extra-parliamentary – could be created with a remit to improve oversight, proactively engage with law-making, and be more broadly representative. The Guurti’s traditional – and invaluable – role in mediation and conciliation, may well be needed again in the future of Somaliland and the wider Somali region. For this to be effective however, the Guurti needs to regain the moral authority and trust of the public that has diminished during its institutionalised incarnation. Somaliland should be able to navigate such a transition – however fractious the process may prove. And if it does, it may find itself again setting the pace in developing fitting and adaptable political institutions. In time, others might choose to follow the example.